Thank you for your feedback. This is inspiring for him and us as well. 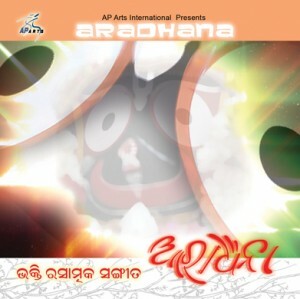 OM “ORIYA MUSIC” team has done a great job. I am wishing all the best to this team for this effort. I would like to speak something about the person behind the whole project who gave a wing to this project to fly worldwide. The producer Mr. Suresh Behera, seems to be a very young man from his snap, who has a great curiosity within him to show the whole world the magic of Odia music n Bhakti Sangit and he did a great job and attempted to lunch odia bhakti song on international level, he did a fantastic job……..who stepped forward to spread the pleasant smell of odisa’s culture which is very old and unique one. Thanking him for this may be a little word but I would like to say him just put your all effort to spread the voice of odia people worldwide in rapid speed. thanx a lot for your movment. This is a land mark effort by and for ODIYAS for this oriya music to spread oriya culture, heritage and devotion to Lord jagannath. My hearty love and regards to this team and OM club members on the occassion of Oriya Naba Varsa- Maha Bishuba Sankranti(Pana Sankranti). Ilike her any song nothing bargarin. hello and good wishes to all of “ORIYA MUSIC” team, this is a great job and effort and really appriciable. As a web designer I would like to suggest, if u filter by the posting “date” the display of comments will come in assending order. Many many thanks for your effort towards devloping of oriya classic songs. Thank you all for great appreciation.Definitly we will look forward to make more happening.We need all your support and help..